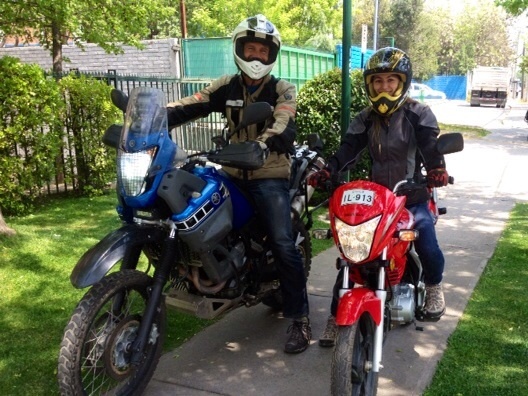 After weeks of riding on the back of my Tenere, my amiga Paulina has decided she wants to become a motoquera herself. So she has bought a little Honda 125, a helmet and a jacket and has set her sights on passing her test next week. My role in this endeavour? I am no longer her chauffeur and have become her instructor. 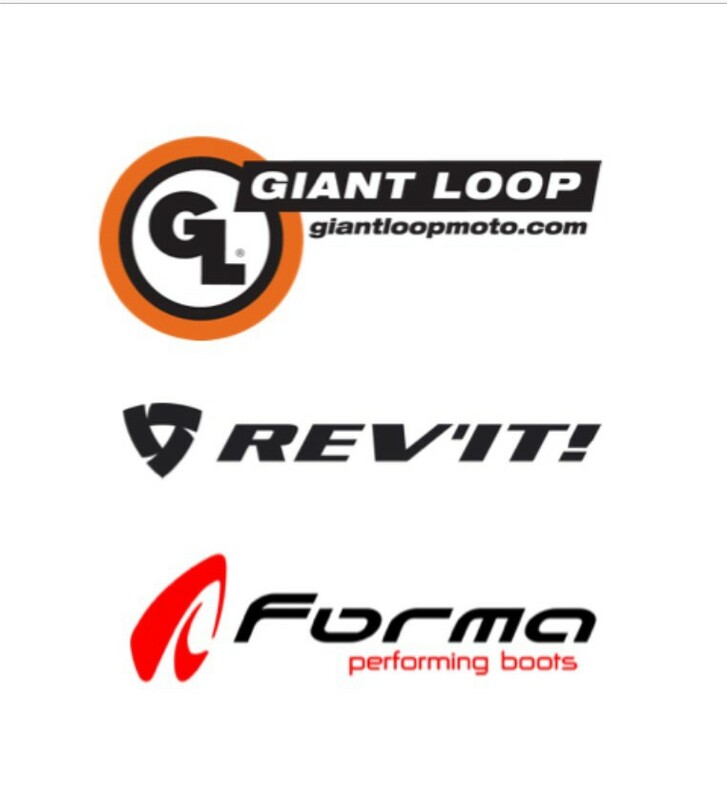 In the UK, there is a clear and structured path to obtaining a bike licence. Everyone must do a compulsory day-long training and receive a certificate – a licence in effect – before they can even venture on to a road with a moto, with ‘L plates’ indicating to all around that they are still in the learning phase. This allows them to legally practice, with a knowledge of the essential riding skills. Then comes the test itself: a comprehensive test of theory, motorbike handling skills and road awareness. One major mistake and you fail. By the time I had completed the process I felt pretty competent – and more importantly, pretty safe. Not so here in Chile. There is no form of provisional licence that enables a would-be rider to legally practice before taking a test; no one has been able to give me a definitive answer to what will happen if the cops stop me and Paulina whilst we are out practicing. And the test itself involves only a theory exam, followed by the briefest of bike handling tests, conducted in the small car park behind the office where the licences are issued – zigzag through a few cones without putting your foot down and you’re done, so we are told by those who have done the test. Apparently you can do this test on a 50cc automatic scooter; thereafter, you’re free to drive a 1000cc sports bike. This is another one of those aspects of Chilean life that I find somewhat paradoxical. Chile is a well-developed and organised country with excent infrastructure, a very professional police force and thorough approach to bureaucracy. What’s more, it is an affluent country with numerous bikers riding large, modern motos. Yet the process of obtaining a licence to drive a lethal, high performance motorbike is decidedly third world. So I have taken it upon myself to prepare a comprehensive training syllabus for Paulina. I have spent hours researching on line in order to revise what was central to my training, and remind myself of the more subtle aspects of motorbike riding techniques: squeeze don’t grab, life-savers, counter-steering, looking through the corner, the two-second rule…. Things that have become intuitive to me since I was taught to ride, or in some cases things I have forgotten. For me it has been a little like learning to ride for a second time – and in that regard this is a valuable exercise for me as well as Paulina. But most importantly, I’ve had to adapt my riding style, in order to set the right example for my eager student. We all develop a few bad habits in life as time passes, as driving is no exception. But for me, this has been exacerbated by driving in South America. Ever since I was introduced to the uniquely Buenos Airean traffic-jam avoidance technique of driving down pavements, I have progressively adopted riding techniques which would categorically earn me a ‘Fail’ if I were to take my test again in UK. So I am now having to reinvent myself as a text-book motorcyclist – to demonstrate the correct technique, but also to have moral authority to pull Paulina up for failing to indicate when changing lanes. “Don’t do as I do, do as I say” doesn’t translate into Spanish, and nor should it. It’s not easy: it is taking a conscious effort every time I flick up the kick-stand and twist the throttle. And I can’t help feeling like a poacher turned gamekeeper – especially given that Paulina has been a first-hand witness of my pavement riding technique on more than one occasion. A very respectful, mature and gentlemanly approach to managing your girlfriends adoption of the dangerous activity of motorcycle riding! A good lecture for all us moto lunatics. I admire your whole message. Now do not forget to teach her how to do wheelies and doughnuts. From Rex and Rosie. I’m trying my best to reign in her urge to go and buy a 650 – she keeps complaining that her 125 is too slow, and she’s only had it a week!!! I should start by introducing myself: I was a chukuss PC in A Coy 2RGR when our mutual friend Marcus Reedman was OC. I heard a fair bit about his mukka ‘Pitch’ via one dit or another, most often spun whilst killing time in harbour areas in the jungle. We’ve met once, briefly – I think it was a 2RGR social at Folkstone and I have I feeling it was during the time in 07 or 08 when I was recovering from Telic injuries – it was a brief introduction anyway which I doubt you remember. Well, anyway, I hope this finds you in high spirits and enjoying the highs and lows of two wheeled adventuring. Keep up the blogging and if you want to drop me a line on other means, please use markwbrightwell@hotmail.com – I would be delighted to hear from you.